No matter which of the three likely presidential candidates is elected this fall, United States foreign policy is almost certainly in for a big change. This is according to Alessandro Bonanno, professor and chair of the sociology department at Sam Houston State University. 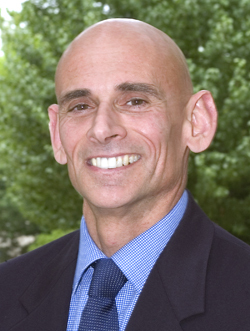 Bonanno, who has taught at Sam Houston State since 1996, specializes in economy and society, social theory and sociology of agriculture and food. He was recently awarded the Southwestern Sociological Association's 2008 Distinguished Paper Award. The paper, of which he was lead author along with Robert J. Antonio of the University of Kansas, was entitled "Globalization and the Contradictions of the Reorganization of Time and Space." It discusses the way globalization, or the spread of a U. S. backed capitalistic economy model throughout the world, has changed over the years. Since the terror attacks of 9/11/01, "geopolitics and security issues took over center stage in discourses about globalization," Bonanno wrote in the paper. "Departing from views expressed by other international political entities (most notably many European and Southern countries), the Bush Administration, supported by a few allies, introduced a new strategy about controlling and regulating globalization. It was based on unilateralism." While the Bush administration attempted to achieve international support, it was so convinced that it was right, and that its policies would benefit everyone internationally, that it did not work hard enough, or was otherwise unable, to achieve international support, according to Bonanno. "Because American interests and views are considered beneficial to the rest of the world," he wrote in the paper, "the Bush Administration believes that the 'civilized world' will ultimately follow the U. S. lead when it makes decisions unilaterally." A bit more diplomacy and less heavy-handedness would have worked better, Bonanno said. "The growth of capitalism under globalization requires advanced forms of interdependence and coordination," said Bonanno. "These new forms cannot be achieved through unilateralism, but require equally advanced forms of cooperation and coordination." Terrorism is extremely dangerous to all forms of stable socio-economic development, he said. As such, it is a global problem. "Because it is a global problem, it requires to be addressed by a broader coalition of forces," he said. "In other words, and as events demonstrated, unilateralism is not an effective solution." He said that the three candidates apparently still in the running for president seem to recognize the need for a new approach. "While their strategies on the war on terrorism and on the problem of globalization are quite different, there is a general understanding that the U. S. should seek broader support on its international policy," he said. "Accordingly, it seems that the problems that I point out in my paper would be of significant importance during the new presidency." Bonanno is the current president (2004-2008) of the International Rural Sociological Association and director of the SHSU field school in Italy. He is a graduate of the University of Kentucky, and served on the faculties of European and Latin American universities.